Hey Jeff, did you hear that the director of the “upcoming” YoungBlood movie, Bret Ratner, wants to cast Robert Pattinson (the Twilight boy) for the main character in his movie? (Probably Shaft, the guy who don’t need a string on his bow). I assumed you would like to know the bad news!!! 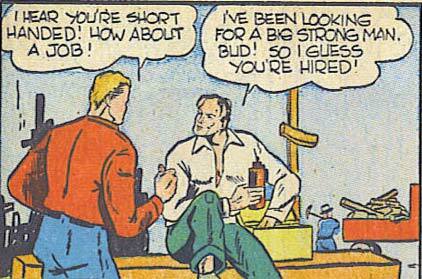 Loki, in 1941, Big and Strong were important job requirements, especially for farm work! Collex, didn’t Shaft have almost as many muscles (like most Liefeld characters) as the Incredible Hulk? Now, can you hum the star spangled banner? 3. You must rub your skin with this baby oil.